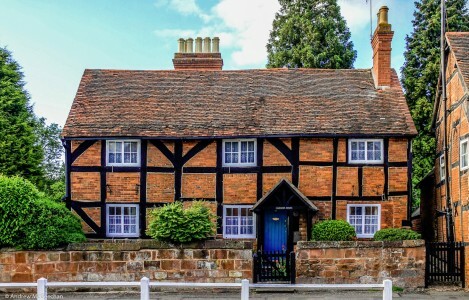 The Marston House is a brick and half timber home built around 1580 in Coventry, England. Credit: Special thanks to Andrew McGeechan for granting permission to use this photograph as a jigsaw puzzle. Visit Andrew McGeechan's Flickr photostream. See all jigsaw puzzles based on Andrew McGeechan's photographs.